Back in the 1930s, the little rack railway took wealthy winter sports enthusiasts to Wengen, and the resort has retained its elegant atmosphere, grand hotels and jingling sleighs ever since. Club Med® built its Resort here in 1976, just outside the charming village, which lies in the heart of the largest massif in the Alps. 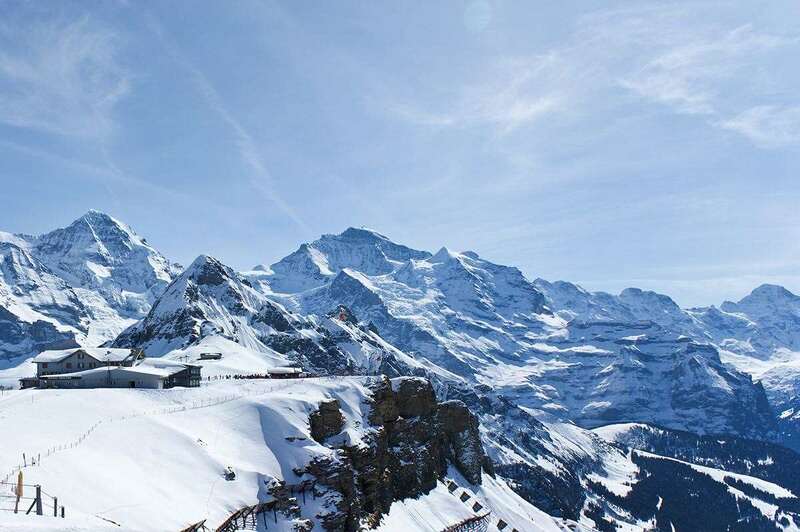 It's the perfect base for exploring the surrounding mountains (the Jungfrau is one of the most famous), while your children enjoy themselves at Mini Club Med®. After a day in the open air, settle down and relax in the cosy lounges of the elegant Art Deco hotel. A 207-room hotel comprising two buildings linked by a corridor. It is located in the heart of the Resort.The central section is a 1930s Art Deco building, to which a wing was added in the 1970s. There is a more recent annexe. Club Rooms- A functional Club room offering simple, honest comfort. Edelweiss Club Rooms are situated in the annexe, linked by a covered corridor to the main building. Additional options include a comfortable and elegant "Palace" Club room. These are located throughout the main hotel, and are available with view over the valley. All including European electrical plugs / 220 Volts, Flat-screen television, Hair-dryer, Security safe(s), Shower room and Telephone.